Officials are still working to determine a single source as causing a 15-state outbreak of cyclospora parasite infections tied to salads from McDonald’s. Federal officials are warning consumers to be on guard for signs of intestinal distress if they’ve eaten any of more than two dozen types of salads and wraps sold by several major retailers around the U.S. In a public health alert issued Monday night, the U.S. Department of Agriculture’s Food Safety and Inspection Service (FSIS) cited worries that beef, pork and poultry salad and wrap products may be infected by a parasite known as cyclospora cayetanenis. Distributed nationwide by Caito Foods of Indianapolis, the possibly tainted products were sold by retailers including Kroger, Trader Joe’s and Walgreens. 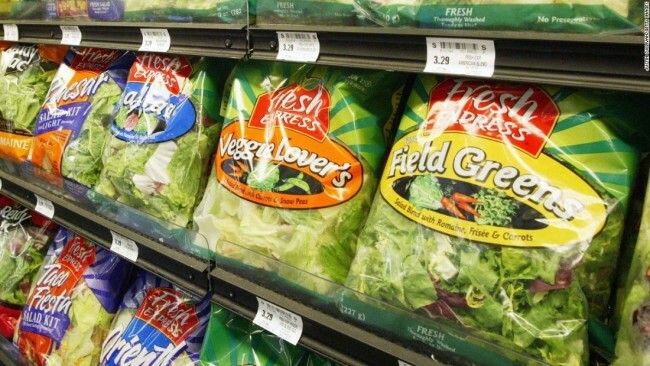 Caito learned of the problem when its supplier, Fresh Express, notified it of a recall involving some of the lettuce in products packaged under a variety of brand names. All of the 25 product varieties are now out of date, produced from July 15 to 18 with the “Best By,” “Enjoy by,” Best if Sold By” or “Sell By” dates ranging from July 18 through July 23. “FSIS is concerned that some product may be in consumers’ refrigerators and that consumers may be at risk due to the length of the cyclospora incubation period,” which ranges from two to 14 days, the agency stated. Separately, officials are still working to determine a single source as causing a 15-state outbreak of cyclospora parasite infections tied to salads from McDonald’s. As of Thursday, 286 laboratory-confirmed cases of cyclospora infection were reported in people who consumed salads from the fast-food chain, according to the Centers for Disease Control and Prevention.